Elizabeths abilities came to her naturally as a young child. However, she works consistently in her development by attending regular workshops and learning experiences throughout the year. She has earned a reputation for providing upliftment even in the most challenging of times. She felt fulfilment in seeing the clients happiness. Whether it is because they have connected to spirit, felt hope when there has been none for a while or received that validation to know they are on the right path. Elizabeth has a bachelor in Applied Social Sciences and has specialised in Trauma Counselling and Crisis Intervention. Further to this Elizabeth comes to you with many life experiences, these experiences allow her to connect with you on a deeper level. Elizabeth gently reminds clients that we are here to give insight, guidance and clarity. Elizabeth is a mum of 4 earthbound, including two toddlers! Elizabeth loves nature photography and reading. Being in the bush or on the beach will always leave her with a smile. 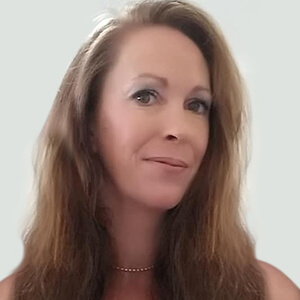 Elizabeth Renee is available for Tarot Readings, Psychic Readings, Clairvoyant Readings, Medium and Spirit Guides Readings. Elizabeth Renee will call you on either your landline or mobile. You can pay by credit / debit card or PayPal.